The investment world has just witnessed the "Ballast" first of the Bitcoin Cash for Bitcoin. 3-month-old coin meets these characteristics to be able to replace "virtual money King" Bitcoin. What is Bitcoin Cash (BCC/BCH)? A group of miners, developers, investors, and users of Bitcoin will upgrade the Protocol as specified by the Bitcoin UAHF. UAHF mining people will split a safe way, creating a new version of the Bitcoin called "Bitcoin Cash" acronym is BCC or BCH. 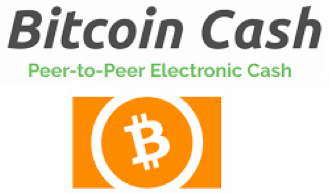 Bitcoin Cash electronic money is a peer-to-peer format for the Internet. It is completely decentralized, with no Central Bank and does not require any reliable third-party activities. Bitcoin is "virtual money King" with the characterization as being controlled by any organization or individual, peer across the world and high security. However, the biggest obstacle that it encountered is the limit of the block size, transaction costs are expensive and take a long time. Is Bitcoin Cash different between Bitcoin? There. Bitcoin Cash is the continuation of the project Bitcoin as cash by a digital peer. It is a fork of blockchain log Bitcoin, with unified rules among miners, developers, investors, and users are upgraded to allow it to grow and larger scale. According to Blockchain.info-provider for the world's largest Bitcoin, there are more than 115,000 Bitcoin transactions are in the standby status. The phenomenon of congestion this transaction took place in recent days exacerbated. The downside on making increasingly Bitcoin losing properties of a coin. Meanwhile, Bitcoin Cash (BCH Code/BCC)-coins are separated from Bitcoin-back are completely overcome the drawback from his predecessor. Bitcoin Cash was separated from the 478,558 block since Bitcoin on 1/8/2017. The advantage of it is the faster payment time, reliability and lower transaction costs than Bitcoin. The size of each block is 8 MB Cash, Bitcoin folded eight times "virtual money King" Bitcoin. At the time of separation, anyone who owns the personal purse in Bitcoin will be "donated" to free a Bitcoin Cash respectively. This is also the circumstances caused a sudden increase in August by Hui Bitcoin many people want to benefit from the "promotions". After the time of the split, the two coin-operated completely independently. Users who want to own the Bitcoin Cash can exploit by digging or acquired from other owners. With the growing popularity of encryption and the attractiveness of the Bitcoin Cash, several as CEO. IX, Kraken and Bithumb also have offered to purchase the currency "is set". But to really exist, Bitcoin Cash should have the life of a coin, to be used for payments and Exchange. This is thanks to the support of the community to build an ecosystem of diverse transactions such as Bitcoin has ever created. In two days, the investor community has just witnessed a "subversive" pretty strong between Bitcoin Cash and Bitcoin. In just a few hours, the value of Bitcoin Cash increase from 950 USD to 2,400 USD. Capital flows are mainly shifting from Bitcoin. This makes Bitcoin decreased from $7,200 to $5,900 each. At more than 20 billion dollars of capitalization, Bitcoin was "younger" of his win. Even many times surpass Ethereum face Cash Bitcoin climbed up to second on the table the value of capital goods. The capital is handled is due to a failure of the Bitcoin upgrade event. Upgrading the block size and improve the time of the transaction does not receive the consensus of the community. So, many investors felt disappointed and redirected to Bitcoin Cash as an alternative solution. 14/11 minutes, Bitcoin Cash has returned to stable levels with a value of $1,200 each, up more than 50% in comparison with the value two days ago. My "oust" but not entirely successful, but also assert the true strength of the currency was only three months old. Why is Bitcoin Cash better than Bitcoin? Step into the year 2017, Bitcoin transactions fees skyrocketed and become unreliable, with some users unable to get their deals, even after days of waiting. Bitcoin stopped growing. Many users, merchants, businessmen, and investors have abandoned the Bitcoin. Its market share of the other currency quickly plunged from 95% to 40%. The source code of the Bitcoin has a maximum limit of 1 MB per data block, handles transactions per second. This has caused problems for Bitcoin. Bitcoin Cash instantly increases blocksize limited to 8 MB as part of the expanded approach to large-scale networks. Will have more capacity for your transactions. Low fees and quick confirmation will continue with Bitcoin Cash. The network will be allowed to grow back. Users, traders, businesses, and investors will return. - ViaBTC: original BCC trading allows companies/CNY (Bitcoin Cash/Yuan), then add the BCC trading/folder Organizer. At the time of the price, the prices listed Cash Bitcoin increased 900 dollars one way. - Okex: this company has announced that they will support the Bitcoin Cash. However, they will do it on the platform rather than on the floor Okcoin Okex. Bitcoin Cash going out a hard work to increase the size of the block of the Bitcoin. - Livecoin: Although the Livecoin is just an Altcoin little trading, the company wants to express his support for Bitcoin Cash. In a new official post here, Livecoin has announced that they will support all branches of the Bitcoin Cash in the future. Although the company mentioned possibilities appear two to four types of Bitcoin in future, current information flow with only two versions only. We will see the Bitcoin of long and token Bitcoin Cash (BCC). - Coinbase and Gdax: have supported from the start, but as the Cash Bitcoin years later, and was not only traded this kind of money. Two of the largest virtual money trading floor in the world have changed their thinking and decision support Bitcoin Cash (BCC), but customers of this deck will have to wait until the new 1/2018 can reach the token BCC that they are divided.